Remember an earlier blog entry with a similar request to sign a petition to help Abi Longfellow get the medication she needs. The is not an isolated case as the child in the petition below desperately needs the same medication which is, as in the case of Abi Longfellow, being denied him. “My name is Lewis Brimble, I’m 15. Recently the NHS declined my application for Eculizumab, the only drug that could save my life. I have had MPGN, a life threatening, ultra rare kidney disease since I was 9 years old. Very quickly after I was diagnosed it progressed into end stage renal failure, so I spent 2 years on dialysis. Eventually, when I was 11 my mum donated her kidney to me, and I slowly got to go back to being a normal boy for a bit. Please always be polite, this is very important, abusive communications are unlikely to be read or considered. By telephone: 0300 311 22 33 (Monday to Friday 8am to 6pm, excluding English Bank Holidays). You could also write to David Cameron and request that both children receive the medication that they urgently require. I am deeply concerned over these two children whom it seems are not getting the medication (Eculizumab) that they need because it is too expensive. How many others are in a similar situation? Health care is surely a universal right, a human right and no one in any country should die or be chronically ill because they cannot have access to medicine. These medicines are life saving drugs that each child urgently needs in order to live a full life as in the case of Luis Brimble or to survive as in the case of Abi Longfellow. Surely both these children have the right to have whatever medicine is available regardless of their ability to pay or the NHS’s. The UK is a rich country, denying these children, and no doubt many others, life saving medicine is deeply unethical. I would like to share with you the following video that clearly shows the love of a mother for her baby and her distress when an attempt is made by the farmer to forcibly take away her calf. “Cows produce milk for the same reason that humans do—to nourish their young—but calves born on dairy farms are taken from their mothers when they are just one day old and fed milk replacers so that humans can have the milk instead. Such cruelty is the price you pay for milk, a food you have not needed since you were weaned, a food that is in any case meant for another species. Human milk for humans; cows milk for cows. No other species drinks the milk of another species. No other animal drinks milk after weaning. A cow is made pregnant over and over, again and again to produce milk for humans. Her baby is taken away on the day he or she is born so humans can consume milk. As you can see from the video, cows love and want to care for their young just like human mothers. “If you’ve ever been around infants, you know that they come with a lot of down time. And it was during one of those quiet spells, with my nursling happily dozing in my arms that I stumbled upon an undercover video taken from inside a dairy operation. It had been such a long time since I’d watched anything like that, and maybe because I was sleep deprived and not thinking clearly, I figured that I was due for a refresher. https://www.youtube.com/watch?v=BaYRWRq-whs – the link in the video does not work you can access this information in the first link below. The most immediate action you can take and one which you can do every single day of your life is to stop consuming dairy products and adopt a Vegan diet and way of life. http://action.peta.org.uk/ea-action/action?ea.client.id=5&ea.campaign.id=23376 – Canada, Indian USA, UK, Germany, Ireland. It’s not to late to save thousands of dogs and cats from a slow painful death. Please sign the following petition – scroll down for other actions. I have included this petition on my blog previously, if you have not yet signed please do so now and share as widely as possible. There’s still time to stop this festival, or at least generate so much negative attention that attendance drops, some of the dogs are saved, and future festivals are cancelled. Please share now, we can do this! URGENT! The Yulin dog-eating festival is Sunday! Please share this petition as widely as you can to save these 10,000 dogs and puppies. Please email the following offices regarding why the Yulin Dog Meat Festival in China must end. I have just come across the following petition which is well worth signing, the more we sign petitions, send messages, make phone calls and e-mail, the more chance there is of stopping this barbarity. Please send a message to the ambassador of the Chinese embassy in the USA. Help Stop the Yulin Dog Meat Festival! 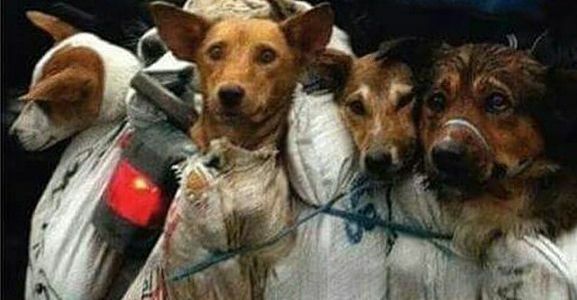 Tell the Chinese embassy that dog slaughter must end. http://www.stopdogmeat.com/ – you can sign this even if you do not live in the USA. I have just signed and sent the message which was counted. So please everyone sign. This is a simple message that requires no editing. More action you can take. E-mail or telephone the Chinese Embassy in your country. Most of the links lead directly to one e-mail address. However in the case of the UK and maybe others you may need to click on the embassy’s website link for e-mail details. This is the case for the UK but not the USA and many others I checked which have a direct e-mail address. You may also be presented with more than one e-mail choice as is the case of the UK’s Chinese embassy’s website, In the case of the UK I would think that the cultural e-mail address below would be the most likely, though I cannot say for sure. China is a modern progressive country, there is no place in any modern society for the barbaric cruelty that is about to take place in Yulin to celebrate the summer solstice. Dogs, and cats also, are included in this blood bath of inhumanity. These animals are sentient beings who feel pain and suffer as would you or I or any other living being. They have a right to their lives as do we and indeed all creatures. I cannot understand the mentality of people who indulge in such behaviour, what joy, pleasure or even satisfaction can they derive from such cruelty. Surely there is a far better way to celebrate the summer solstice and it is celebrated the world over in a more appropriate manner. Below are more actions you can take to prevent the reinstatement of fox hunting. Please sign a couple of Care 2 petitions and send a message – PETA have a template letter for you to send. “You’ve probably heard the bad news: the government is planning a free vote to repeal the Hunting Act. That means it could once again become legal to hunt wild animals with dogs in England and Wales. All over the country, kind people are rallying to make sure that doesn’t happen. Will you join them by sending a quick message to your MP and asking him or her to vote to keep the Hunting Act? This fight is about saving countless wild animals from terrifying and painful deaths – not just foxes, but deer and hares, too. It’s also about what kind of country we want to live in – a modern, progressive Britain, where animals are treated with respect, or a backwards society, where watching as animals are torn apart is considered sport. Please send the message/ letter to your MP, just fill in your details and sign a template letter which may be edited using your own words. Editing is more effective but if you are for some reason unable to do so please just send it as it is. http://www.parliament.uk/get-involved/contact-your-mp/contacting-your-mp/ – contact details for David Cameron furtherdown. As the first petition points out it is not only the foxes who suffer terribly as a result of this cruel “sport” but the dogs also. Ask the European Parliament to outlaw Fox hunting with dogs in Europe! Hunting with dogs is a cruel and barbaric sport which serves no purpose in today’s society. Dogs do not hunt foxes by natural instinct, but must be trained and encouraged to do so. Foxes live mainly on earthworms, rodents, beetles and carrion, not livestock as some would have you believe. They are pack animals and regulatie their own populations as many studies have shown. Being a close relative of the domestic dog, Foxes can feel fear and pain in just the same way. Hunts also slaughter over 10,000 hounds every year. 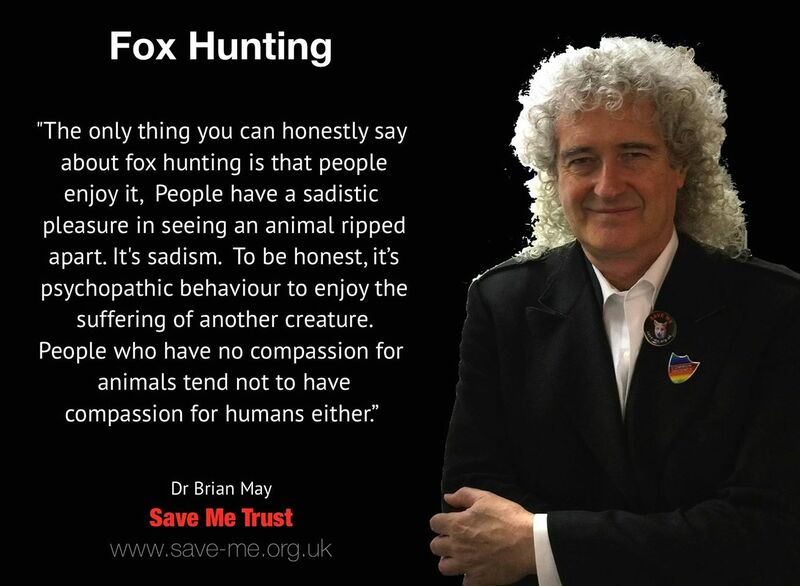 “Fox hunting involves setting a pack of dogs on a fox and then chasing it on horseback. Once caught, the dogs will rip apart the fox until it dies a horrific death. “Hunting wild mammals (foxes, hare, mink etc.) with dogs was banned in England and Wales by the Hunting Act in 2004. The new Prime Minister of the UK, David Cameron, plans to have a free vote on repealing the act. If this happens, animal welfare in the UK will be set back years, and many innocent animals will die an unnecessary and violent death as a result. If you are not familiar with fox hunting in the UK you may not know just how barbaric, cruel and frankly wicked it is. If you have any doubts, and that includes UK citizens, as to the horrific brutality and frankly sick “sport” of hunting defenceless small animals with a pack of dogs while riding on horse back check out the link below including the video, which has very graphic images most normal people will find upsetting. The description is more than enough to get an idea of the cruelty involved. As you will see there is no place in any modern society for much barbarity – or at least there shouldn’t be. Please support the following National Day of Protest in Glasgow – Please consider supporting this protest even if you do not live in Scotland, we need solidarity to end the austerity measures that are having the greatest impact on people who are sick, disabled or unemployed. WESTMINSTER! HANDS OFF OUR POOREST! STOP ATTACKING OUR PEOPLE! NO MORE BENEFIT RELATED DEATHS! IAIN DUNCAN SMITH OUT OF SCOTLAND NOW! FULL POWERS FOR SCOTLAND NOW! TIME HAS COME TO UNITE AND FIGHT BACK! UNITY AND SOLIDARITY FOREVER! We reject the UK Government’s unconscionable Welfare Reform Act and policies which are literally killing our people and which are immiserating millions. 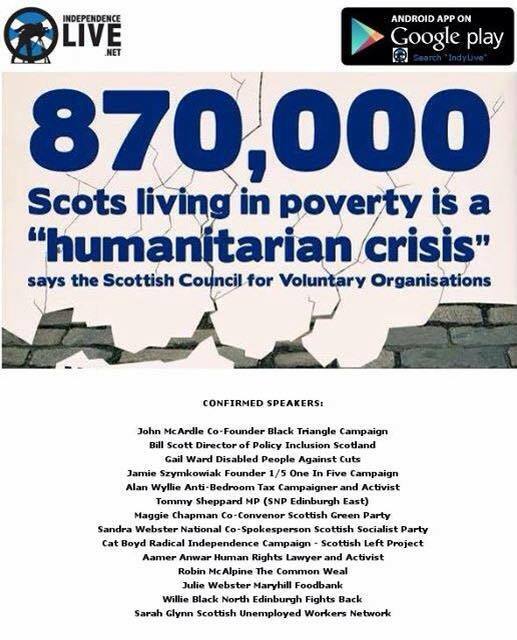 As disabled people and citizens of Scotland, we demand nothing less than full autonomy for the Scottish Government over all matters relating to welfare, ownership of our natural resources and national assets, income from taxation and measures to address and eradicate the poverty that blights the lives of nearly one million people in our land. If Westminster fails to deliver there will be an uprising in Scotland and we entertain do doubts whatsoever that we will be an independent nation within a very short span of time indeed. If you do not give us these powers the Union is finished. Be in no doubt. We are aware that 10,000 submissions have been made so we will make this brief. These are the reason that we demand full powers over our own affairs. Rocks would melt in the Sun before the catastrophe of UK Welfare ‘Reforms’ would be introduced by Scottish politicians elected by the people of Scotland. This is not the Scottish way. This is the land of Robert Burns. This is absolutely anathema and barbaric to us. This is an updated tragic list of widely reported welfare-related deaths of the United Kingdom’s sick and/or disabled people. The tip of an iceberg. We will always fight for freedom from Westminster’s murderous policies and support the struggle of all Britain’s sick and/or disabled people simultaneously, wherever they are from. “This is a profoundly shocking scene – I need to draw everybody’s attention to (a very poorly) disabled Baroness Jane Campbell’s question to Welfare Minister Lord Freud in the Lords yesterday asking “will disabled people be protected” from further £12 billion life-destroying cuts to be announced by Osborne in July? Baroness Campbell of Surbiton (CB): My Lords, during the general election campaign the Prime Minister stated his desire to “enhance” and “safeguard” PIP. Will the Minister say how the Government plan to fulfil that election promise to disabled people and reassure them that their payments will be protected in the Chancellor’s up-and-coming Budget? Lord Freud: We will continue to support the disabled and the vulnerable in months to come. Baroness Sherlock (Lab): My Lords, maybe I can follow that up a little more. The noble Baroness, Lady Campbell of Surbiton, specifically asked for an assurance of the Prime Minister’s guarantee that he would continue to support disabled people and that their benefits would be protected. Let me give the Minister the opportunity to give that. The Government want to make £12 billion of welfare cuts. Will he say today that none of those will fall on disabled people? Lord Freud: I repeat what I said: we will continue to support disabled people and the vulnerable through that process. Highlights of Wednesday 10 June in Parliament, presented by Alicia McCarthy. He didn’t really answer the question did he, indeed very disturbing. The worry got so much that once she was admitted to the local psychiatric unit, where staff were warned not even to mention benefits in front of her. http://www.theguardian.com/commentisfree/2015/jun/08/cameron-disabled-champion-paula-peters-cuts-most-vulnerable – this is an excellent article showing the damage both physically and psychologically as a result of welfare cuts to the lives of people already blighted by illness and disability. “Welfare reforms are making people live in “constant fear” of cuts to their benefits, according to a report. The following is a detailed rundown of all the benefit cuts this evil government have put in place.Shocking that people voted for more of the same. If you voted Tory you are of course complicit with what amounts to a calculated assault on the most vulnerable in our society. An attack on disabled people much like the beginning of the propaganda that lead to the Nazi’s persecution of the sick and disabled. http://blacktrianglecampaign.org/2015/04/30/ge15-the-disability-audit-in-the-name-of-love-put-an-end-to-this-vile-pogrom-on-disabled-people-now/ – You just can’t imagine can you someone getting frost bite, living in a tent in the sixth richest country in the world. One of the problems is that to many people it just doesn’t seem real. 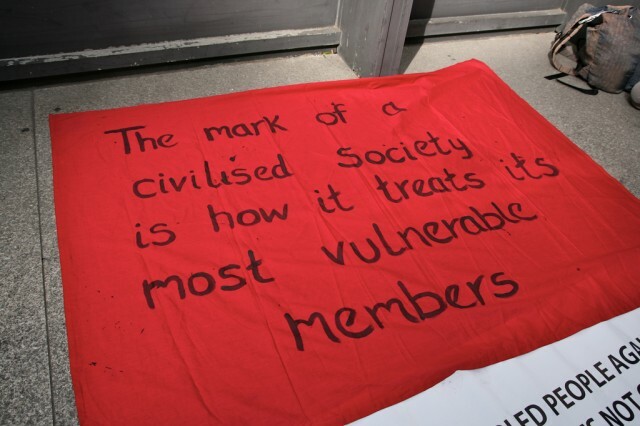 With the exception of people begging in the street, for some the reality of what is happening in the UK is often not obvious and many people remain oblivious to the misery, fear and desperation behind their neighbour’s closed doors as sick, disabled and the unemployed struggle with slashes in benefits, no benefits at all, rising prices and the threat of homelessness. Please attend the protest in Glasgow and spread the word. 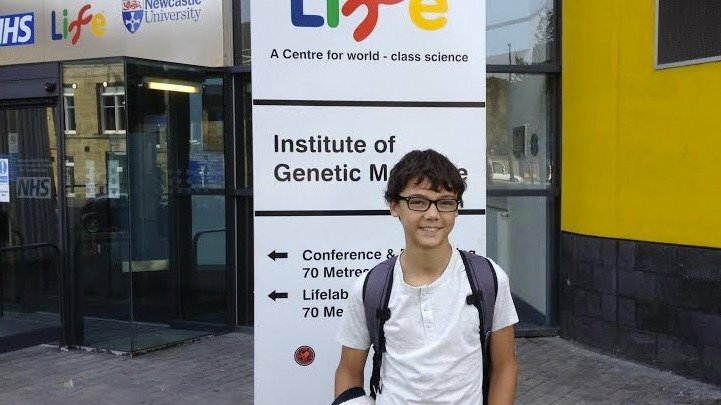 Please sign the following petition to David Cameron and Alexion Pharmaceuticals to allow 12 years old Abi to have life saving medicine. Because the medication this child requires is not on the NHS approved list 12 year old Abi’s life is under threat. 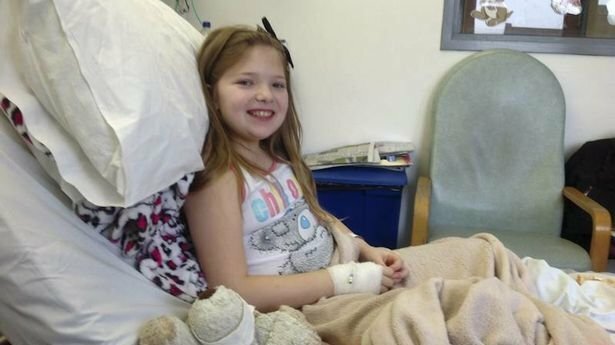 “Our daughter, twelve-year-old Abi, has a rare kidney disease that could kill her in five years. Under lock and key in the hospital where she is treated is the medicine that could save her life. But thanks to a cruel loophole, doctors are forbidden from giving it to our daughter. That’s why we’ve started a campaign with the Sunday People. Abi’s one-in-a-million illness is too rare to be covered by NHS England’s drug funding policy but not rare enough to unlock cash for exceptional cases. And the manufacturer Alexion Pharmaceuticals has refused to drop the eye-watering £136,000-a-year price, ­making it impossible for us to buy the drug privately. Please write to David Cameron and ask him to Allow the NHS to give Abi Longfellow this vital medicine. Please be polite abusive correspondence is rarely read or acted upon. There is no reason, at least no rational or moral reason why the NHS cannot give this life saving drug to this unfortunate child. In fact it is in my opinion highly unethical to deny anymore life saving treatment or indeed any medical treatment that is available. The rules need to change. The right to the best medical treatment that medical science has to offer should be a basic human right for each and every person on the planet. While MPs are set to receive a huge hike in wages of £7,000; while the number of millionaires and billionaires in the UK increases along with an increase in their finances at a time when everyone else suffers the effects of austerity; while bankers continue to receive obscenely huge bonuses; while there are tax cuts for high earners and corporations dodge taxes Cameron and his vile government are preparing to inflict a 12 billion pound benefit cut on the poorest and most vulnerable members of our society. Here are just two of the more immediate benefit cuts: the abolition of the Independent living fund ILF and changes to the qualifying criteria for a mobility car which will leave many disabled people less independent and more isolated from society. Please sign the following petitions regarding these issues. One of Scotland’s most promising athletes, 16 year old Kayleigh Haggo may have to give up her Paralympic and university ambitions because of a change in rules of the motability car scheme. Despite being largely wheelchair bound, Kayleigh no longer qualifies for the scheme, and now faces multiple bus and train trips every day, to and from, her home in Maybole, Ayrshire, to attend training and lectures in Glasgow and beyond. Defend Disabled People’s Right to Independent Living. The closure of the ILF means that the 17,500 disabled people who are currently able to employ assistants to help with everyday tasks from getting out of bed to going to work, will instead be forced into care homes or effectively imprisoned in their own homes. I have to say one can get discouraged signing petitions which are often ignored and more decisive action needs to take place. However whether successful or otherwise petitions are a way of voicing our disapproval and are in my opinion worth signing. You can also write in the strongest terms to your MP concerning these benefits, yes even if your MP is Labour or any other party. Labour as we all know have not come out in support of disabled people or opposed the vicious benefit cuts or the disgraceful scrounger propaganda that has turned people against benefit claimants and which has set those who are able to work against those unfortunate to be sick , disabled or unemployed. In addition to your MP please write directly to the MPs mentioned in the above petitions including David Cameron. “Changes to benefits rules mean Kayleigh Haggo, 16, no longer qualifies for her car – because she can walk 20metres unaided. Stop what you’re doing and ask yourself this question: “If you were to have a serious accident that left you with a severe disability, would you want to be shut away, out of sight and out of mind?” This is a scenario no one wants to imagine, but for Linda Burnip, a spokeswoman for the campaign groupDisabled People Against Cuts (DPAC), it illustrates what is at stake for people with severe disabilities if last-ditch efforts to save a vital benefit fail in the run-up to the election. Short of a late surge of widespread public outrage and an inconceivable volte-face on the part of the government, one of the most important protections for disabled people, the Independent Living Fund (ILF), will soon cease to exist in England. Where is that public surge of outrage I would like to know. Who cares about sick and disabled people in this world so obsessed with acquisition, status and power, easily led by the Tory scrounger,and the skivers V strivers rhetoric intended to set ordinary people against one another and turn them against the most vulnerable in our society. “We are challenging the stigma of poverty, confronting the dangerous rhetoric that blames the poor for their poverty dismissing them as strivers and skivers, enjoying a benefits lifestyle. Rubbish! I am still reeling at the result of the election. If you voted Tory you should be ashamed, you have voted for the eventual demise of our welfare system that once offered support to those who needed it through no fault of their own. I sincerely hope you will never have to face the fear of insecurity or feel the despair experienced by sick and disabled people as a result of unjust benefit reforms or people who are unemployed or those facing sanctions to the miserly much reduced benefits that the government will whittle away to nothing. Sadly know one knows what may befall them, therefore the attitude of people towards welfare is astounding. While it is good to have a positive attitude to life and not dwell on possible misfortune it is stupid in the extreme to think that you won’t need help if a times comes that you are unable to support yourself. Moreover the lack of compassion and support for those who cannot work and must struggle with difficult lives as a consequence of ill health or disability is disturbing in the extreme.